ProcessFlows’ Mobile Communications have enabled UBU Environmental to improve levels of efficiency and quality of service by utilising SMS as a primary internal communications channel. UBU Environmental is a Manchester-based expert in the provision of street cleaning machinery with a fleet of over 120 Road Sweepers, MegaWhale JetVac Tankers, High Pressure Road Jetters and Pedestrian Precinct Sweepers. This enables them to offer environmentally friendly cleaning services for private and business customers in North West England and beyond. With more than 110 drivers engaging in at least three client service visits per day at different locations across the North West, internal communication is key to fast and effective organisation and deployment. UBU Environmental needed a way to communicate with their remote workforce to organise and coordinate whilst on the go. Our easy-to-use SMS solution allows UBU to engage in fast two-way communication with any or all of their drivers at the click of a button. The user- friendly interface and quick delivery times mean UBU can send out important messages to their staff quickly and with confidence. Sending up to 500 messages per day, the 123-txt platform has allowed the Company to significantly reduce the processing time between a client call and the subsequent requests being distributed between mobile staff. Sending important details via text message also enables the drivers to receive one-tap information on an assignment without affecting their engagement with ongoing tasks. 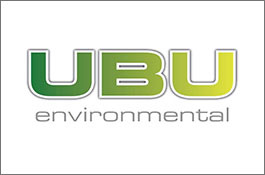 More importantly, UBU Environmental is able to oversee and engage with all their SMS communications from a single place. The powerful 123-txt cloud portal keeps all of UBU Environmental’s communications in a centralised, easily accessible and secure location. ProcessFlows’ SMS gateway facilitates process follow up within UBU Environmental, from the initial registering of a customer’s enquiry in their systems, to the final completion of the service. This allows the Company to keep track of its results, to evaluate the necessary time for each job and improve its performance. Moreover, text messaging has been adopted as a solution to manage time schedules of drivers and other mobile staff. They receive and send SMS notifications on their availability, current location or completed task to the client contact centre. The next development UBU are looking to make to get the most out of the 123- txt system is integrating with their CRM. This would facilitate the automation of certain processes such as follow-ups and notifications and provide insights that will help inform the company strategy. ProcessFlows’ text messaging solution offers this level of integration by being able to adapt to any kind of system. 123-txt has helped to free up time, allowing the teams to focus on additional improvements such as further developing client relations. After the initial set-up and training by ProcessFlows, the Company was able to quickly phase out its previous modes of communication and started seeing the positive results of deploying business SMS immediately. ProcessFlows provides continuous support to customers to help give peace of mind and to make sure the Company is getting the most out of their purchase.